This is great. 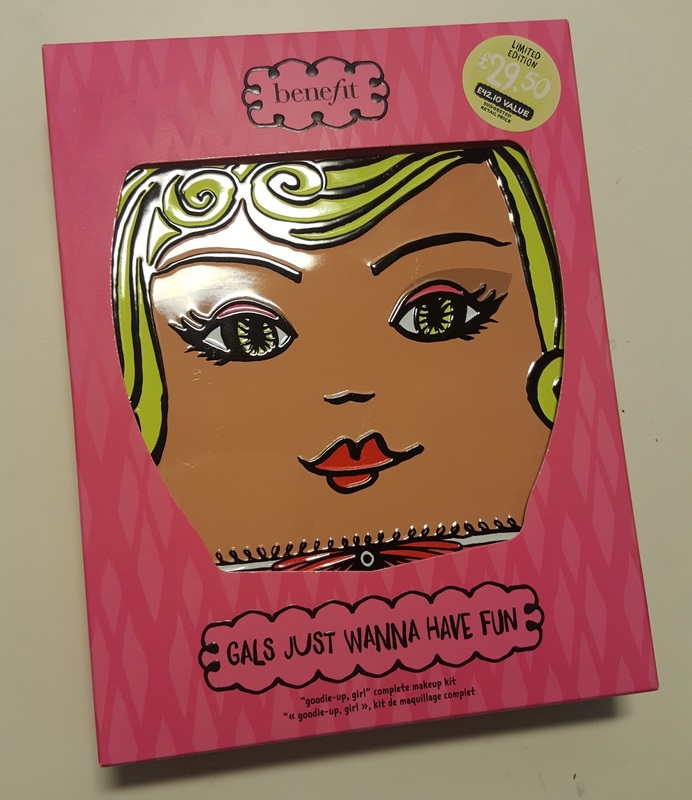 When it is almost Christmas, Benefit drops these awesome Christmas gift sets! This 'Gals just wanna have fun' set was £29.50. 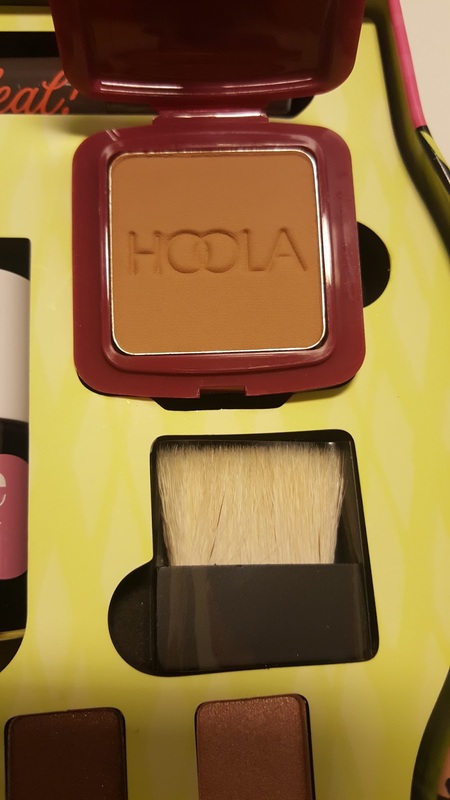 The reason why I bought this was solely for the Hoola bronzer and I didn't want the original packaging which I find is quite bulky whereas this one I can store in my make up bag. 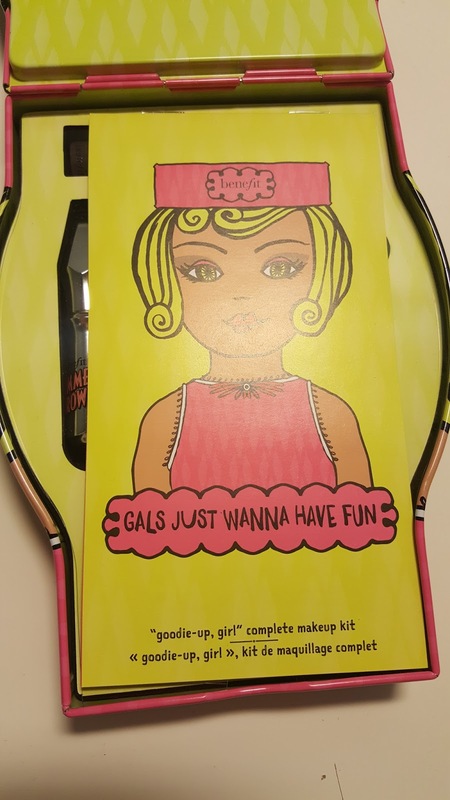 What the inside of the box looks like...it includes make up tips and tricks. I felt that this was a good buy filled with awesome products and worth the value. Plus, it is already wrapped which is always an added bonus. 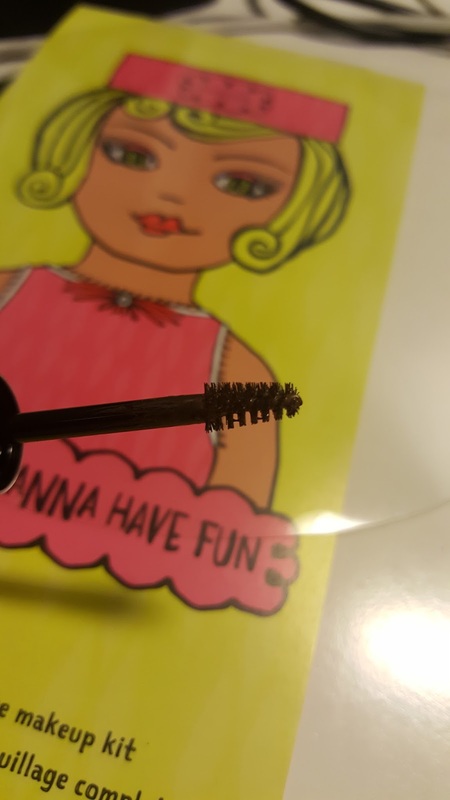 Only thing you can't remove is the eye shadow...perhaps I haven't tried hard enough but I don't really want to keep the packaging. I'd rather remove all the items from it and store it in my own make up bag. 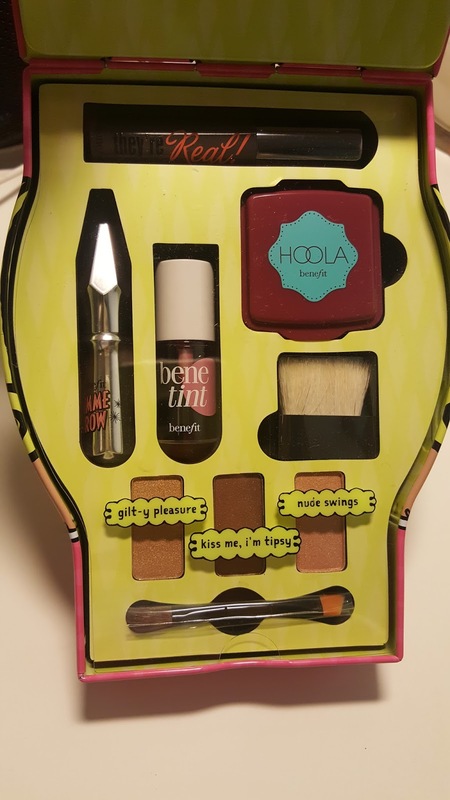 Benefit have also released various gift sets so definitely worth checking out if you are looking to treat yourself/others!